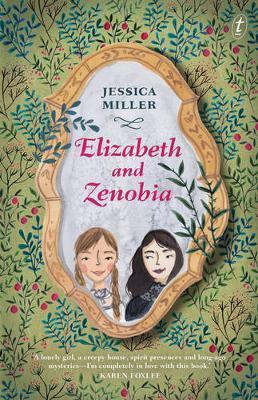 Timid Elizabeth and her unusual and fearless friend Zenobia arrive at Witheringe House, the old manor where Elizabeth’s father and his beloved sister Tourmaline lived as children. Zenobia loves it-she’s convinced it’s haunted and is eager to make contact with a spirit presence. Elizabeth is relieved when her efforts seem to come to nothing. Elizabeth and her father are moving to his childhood home after her mother leaves them for a more ‘adventure-filled’ life. Zenobia, Elizabeth’s not-an-imaginary best friend, obviously goes with them. The two girls are practically polar opposites and while Elizabeth is desperately creeped out by the macabre house and the dead garden, Zenobia is entranced by it and convinced that she can sense spirits. This is such a great adventure. It’s funny and interesting but also thrillingly frightening at times. The house is quirky and scary, and although this is a perfect standalone, I’m hoping that an adventure series might be on the cards.